Get secure and convenient access to your funds. Manage your money on your time. Note: Contact us if you do not know your member number. Follow the prompts to enroll and create a Username and Password. When you’re successfully logged in, confirm your account details and start exploring! Call 800.562.8130 for Digital Banking support Mon-Fri 8am-6pm, Sat 9am-1pm. 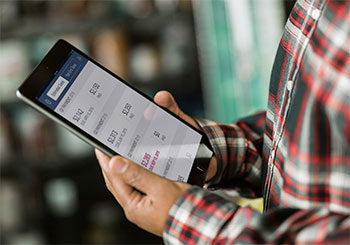 See a consistent, seamless banking experience whether visiting from your computer, tablet, or phone. No more calling to reset a lost password or establish registration. Automatically track spending, set budgets and goals, view trends, receive account alerts and more. Get a better idea of your spending and see all of your Sound and non-Sound accounts in one spot. Managing your bills will be slightly more fun with our updated, easy-to-use bill pay tool. Redeem Sound Rewards, order checks, apply for a loan, and more without having to log into each of your accounts.